In 1981, Keddie in Nothern California’s Sierra Nevada Mountains, USA, was a quadruple homicide that took place in the late evening of 11th April or in the early hours of the 12th. The victims were Glenna Sue Sharp (36), her daughter Tina (12), her son John (15) and his friend Dana Wingate (17). Tina was determined to have gone missing some time after the crime had been discovered. Her skull and several bones were recovered from Camp Eighteen, California in Butte County and as of yet no arrests have been made. In 2004 several cabins, including 28, were demolished because they had been condemned. Sue’s (Glenna Sue) oldest daughter, Sheila, had stayed with her next-door neighbour in cabin 27 on the night of the murders and went round to find the terrible discovery the next morning. Sue’s two young sons and their friend had been in a sleep over that night and were found uninjured that morning, apparently having not been disturbed by the carnage in the nearby room. She had been renting the cabin with her five children since November 1980 and on that night was home with her daughter Tina, the young boys and their friend Justin. 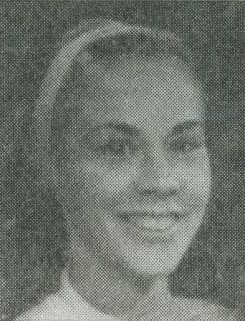 Her oldest son and his friend Dana had been nearby in Quincy and came over to stay the night. 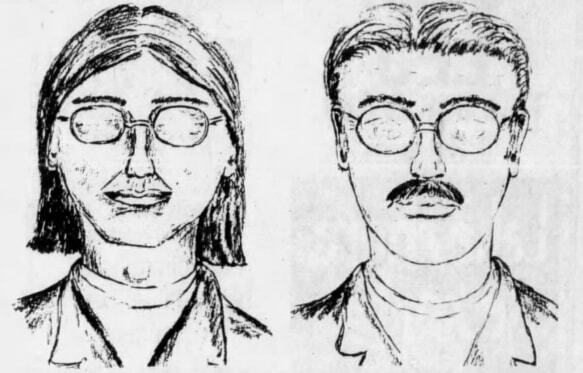 They had been seen that night hitchhiking from Quincy to Keddie and it’s entirely possible the crime was in progress when they arrived. All three of the victims initially found were tied with medical tape and electrical appliance wire, Tina was later found missing once they had determined who was there and who the victims were. They had been bludgeoned with a claw hammer and both Sue and John had been repeatedly stabbed including in their throats. It was a terrible massacre and they found a bent steak knife that had been used, the force of the attack had caused the damage to the knife. By 1984 the case had gone cold but they then found a portion of Tina’s skull recovered near Camp Eighteen, around 29 miles from the Keddie site. An anonymous called to the Butte County Sheriff’s department claimed that the skull was hers and the area was searched again. The jawbone and dozens of other bones were found, along with what might have been other evidence. Sadly despite this and the local media coverage nothing new has been discovered and the crime remains unsolved. 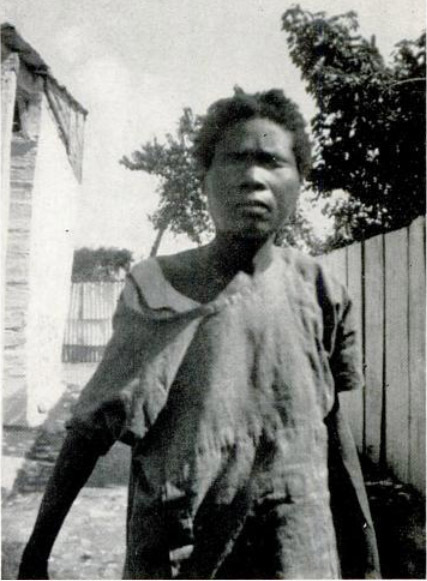 A woman stumbled into Ennery, Haiti on 24th October 1936 in a terrible state. Her eyes were diseased and her eyelashes had fallen out, she was dressed in rags and walking barefoot. She hated direct sunlight and is cited as a famous zombie case, brought to the Western culture by American folklorist and anthropologist Zora Neale Hurston. She was looking for some confirmation about the zombie phenomena because of soldiers and sailors bringing back stories about them. ‘Felicia’ was said to have spoken in a very flat and emotionless way, she displayed little interested in anything and her laugh was flat and lacked real mirth. She was quite indifferent to events around her and an X-ray taken put into doubt that she might ever have been Felicia as they did not match, the original woman had suffered a fractured leg but there was no sign of this on the recently deceased woman. The woman attracted a crowd and a local family, the Mentors, said she looked like a deceased relative called Felicia who died in 1907, aged 29 years-old. She was taken home to the family but was transferred to a state hospital a few days later. Hurston thought that what had happened was due to drugs or poison and not due to black magic. The case for the drug/poison case is due to the postulation that tetrodotoxin (derived from puffer fish) is used in the bokor’s mixture used in Black Magic rituals. Wade Davis went out to look into it and found that they made their ‘zombie powders’ from various animal parts and plants. It was the use of this in various formats that could cause the brain-washed and lethargic nature of the victims they chose, before burial they looked dead and the bokor would then ‘revive’ them later. To get the dosage right would be something precise too, it could fail as often as it was recorded to succeed, and a bokor is hardly likely to hand over their secrets that easily either. Dr Louis P Mars suggested that rather than her being a case as a zombie she was more likely to have been suffering schizophrenia. Unfortunately it was only a few weeks of survival, she died in the hospital. Another interesting fact about these zombie cases is that it is a criminal offence in Haiti, under the Haitian Penal Code (Article 246) it is illegal to create a zombie, it is on par with murder only the victim is technically still alive. EDIT – replaced the photograph with the corrected one based on comment from a user. Thank you. 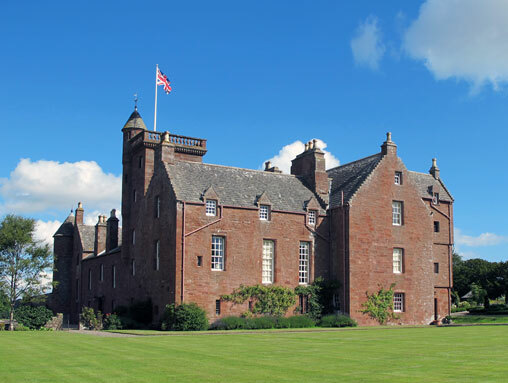 A 14th Century castle, situated around 3 miles north of the fishing town of Arbroath Angus, Scotland. The castle dates to be around 1300 when the monks at Arbroath Abbey built a sandstone keep. The castled seems to have passed through several hands of the de Maxwell family and then into the ownership of Scotland’s last Cardinal, David Beaton. Beaton was murdered in St Andrews in 1546. The castle was purchases in 1665 by the Carneige family, they later became the Earls of Northesk, and they owned it until 1928 when it was brought by William Cunningham Hector. The castle is thought to be the bases for the Castle of Knockwhinnock in Sir Walter Scott;s novel The Antiquary. 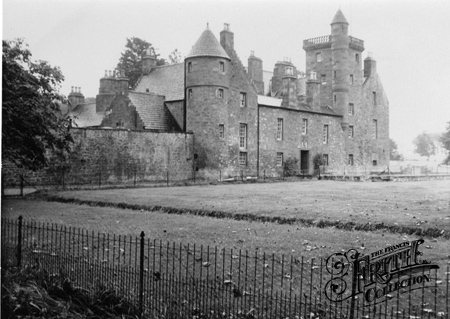 The castle was then restored by the chief of the Forsyth Clan, Alistair Forsythe, and it served as their seat. The castle is also now owned by the de Morgan family who have converted it into a hotel. And as with any castle, I thought I’d bring up the subject of ghosts. Now David Beaton is said to be one of the hauntings there, it’s not a surprise really, after all being murdered is a pretty upsetting thing! However he’s not alone because there are rumours of a Grey Lady there too. Let’s hope she isn’t dressed to scandalously for the Cardinal.